Sometimes once in a while you come across a watch model that says something new. Not often I know and increasingly difficult to find today in my experience, but the Martenero brand of New York has managed this feat nicely. Available in 4 colour combinations this is a nice bright’ clean looking watch. 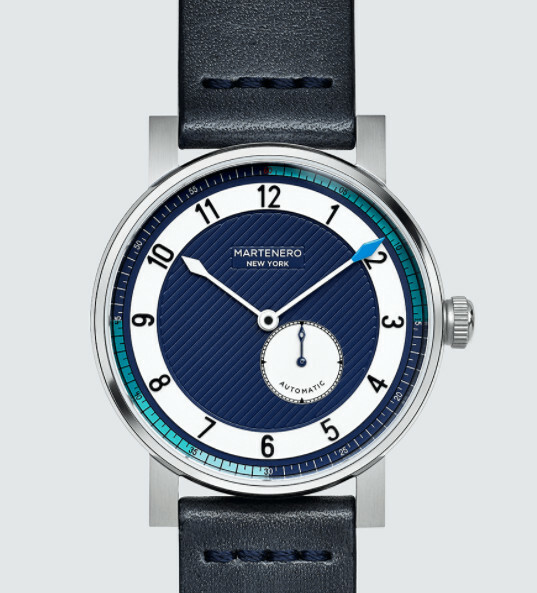 Inspired they say from the Nautical theme of a marine chronometer (and who am I to say otherwise) it certainly has a look that I like. 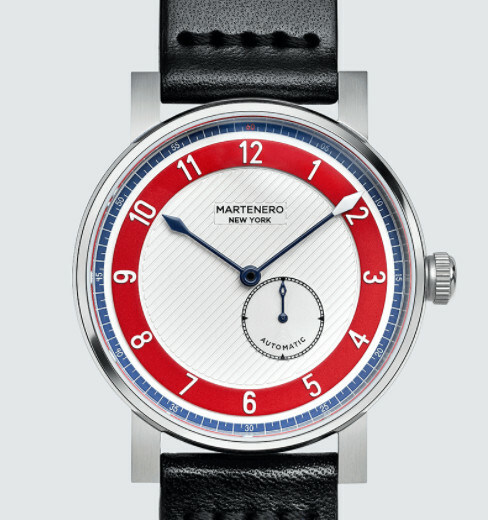 Alternative colorway in Blue/White with red tipped minute hand. The watch case is made from good quality 316L Stainless Steel and overall has such clean lines it looks great on the wrist. 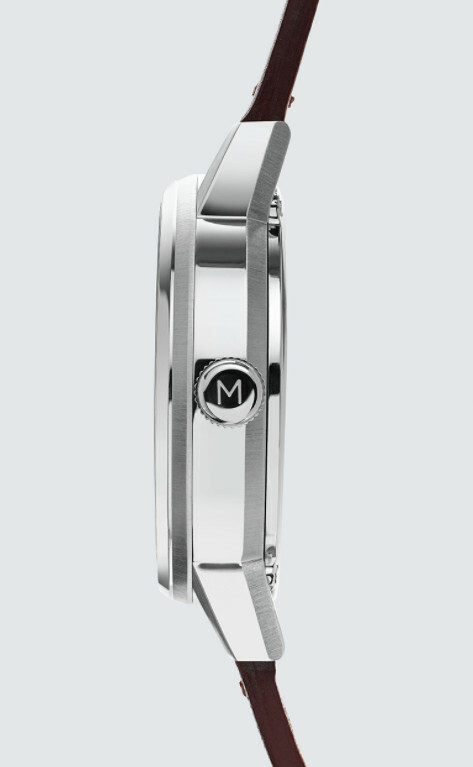 The case is also Water Resistant to 50M and features a decent Screw Down crown of the right proportions. A sub seconds dial between 4 and 5 adds a nice balance to the layout and is very clear to read. Power wise this is driven by a Miyota mechanical Automatic Calibre 8245 with 21,600 Beats/Hr, a 40 hour Power reserve and internally fitted with 21 jewels. This is a really good quality modern Auto and a perfect match for the watch style. The side profile is neat with Screw Down crown. I also like the fact it is a sensible sized watch at 40 mm diameter, just 11.8 mm thick, with a 20 mm strap, which is really nice to see. The Sapphire crystal covers a rather stylish dial layout with a raised hour ring and the textured interior gives good clarity and depth to the overall layout. The hands give great contrast and the different colored hand tips is quite novel. 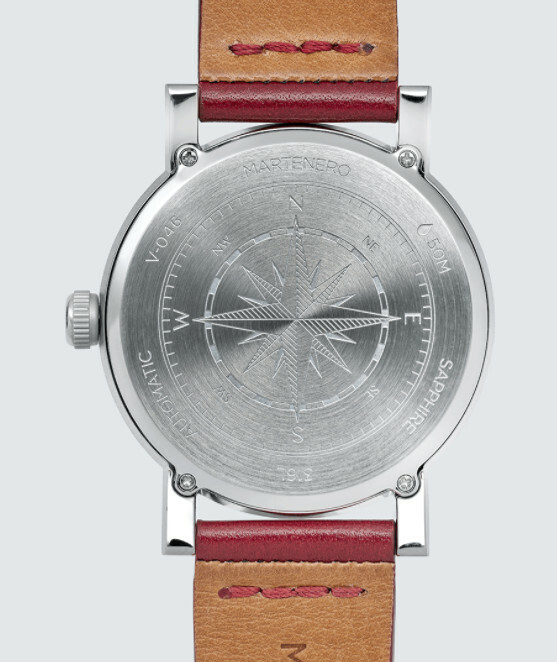 Clean stainless back with compass layout – super simple. Cost is around the $500 mark and interestingly they ship this watch Post Free (don’t forget that destination customs will apply, but that’s the buyer’s concern). I quite like this approach – it’s simple and you know exactly where you are with it. Another alternative color – gives you lots of buying choice – and they all look good. So as I say, at last a neat, new clean looking model from the USA that manages to catch my eye at last. So many models today seem to be blah, blah – more of the same. The Martenero I’m pleased to say is not one of them – it is fresh and rather exciting. From a Brand that appeared as recently as 2014 I think they have a winner in the Edgemere AND it has a 2 year Warranty. 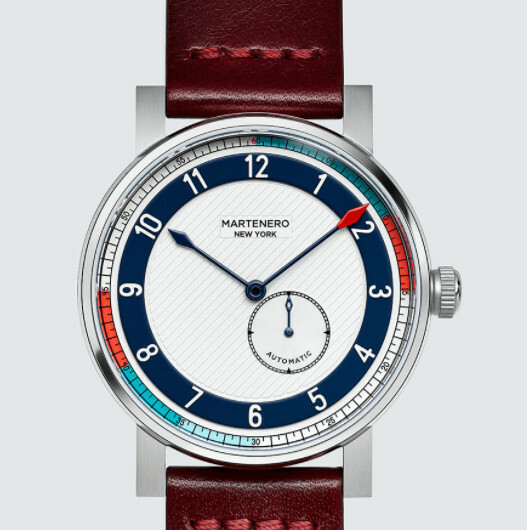 They have a few other styles/models and you can see these on their web site at – https://martenero.com/collections, though for me the Edgemere has the edge (sorry!) and is a model that I might well decide to get myself. I like it a lot – what more can I say . . . . . .